On March 5, 2011 I was elected and then Seated as the Bishop Provisional of the Episcopal Diocese of San Joaquin. On Saturday, March 29, 2014, I will cease to be the Bishop of this Diocese with the election of the next Bishop. I most sincerely thank you all, lay and clergy of the Diocese, for your love and support and for the privilege of engaging in ministry with all of you. I have come to know this as a Diocese of courageous and committed people who are dedicated to serving Christ as members of the Episcopal Church. April and I will return permanently to Southern California and to “retirement” on March 29. The Diocese of San Joaquin, its life and ministry, clergy and people, will always now be in our thoughts and prayers. Friday Reflection is taking a break next week. The Choir of St. Paul’s Church in Bakersfield and director, Christopher Borges, would like to invite members of the Diocese to participate with them in singing at the service for the Seating of Bishop David Rice on Saturday, March 29. There will be a rehearsal that Saturday morning at 11am in the Choir Room. vwhill44@hotmail.com for an email advance copy of the music. The Northern Deanery bus to the Special Convention in Bakersfield will depart the Modesto Vintage Faire Mall Park and Ride promptly at 5:30 AM on Saturday. The Park and Ride can be reached from southbound 99 by exiting on Pelendale. Turn south on Sisk Road. The Park and Ride will be on the left connected to the mall parking area near Penny’s. The Park and Ride can be reached from northbound 99 by exiting at Standiford and then north on Sisk Road. The Park and Ride will be on the right. For the return trip the bus will depart St. Paul’s Bakersfield no later than one half hour after the close of the last Convention activity. On the 29th the following numbers can be used as contacts for the bus:(209) 765-392(209) 765-3928 or 765-3246. The liturgical color for the Celebration and Seating of Bishop Rice following the Special Meeting of Convention on March 29 is red. This week you should have been contacted by regular mail by the Church Pension Group. Church Pension is sending you a NEW CONTACT NUMBER. This new number will enable you to log on to www.cpg.org and see all of your benefit information on one page. This means that you will be able to see your own individual Pension, Medical, Disability and Life Insurance information that you currently have through Church Pension all on one integrated page. Illustrated with art by the inimitable Roger Hutchison, author of The Painting Table, and inspirational daily reflections by beloved author and Spiritual Director Mary C. Earle provide food for the journey. A built in journal function lets you record your own thoughts, and you can share Scripture, the daily image, or your own thoughts via email or social media. Since 1922, Episcopalians have supported the ministries of the Episcopal Church in Jerusalem and the Middle East through the Good Friday Offering. Through the work of the Episcopal dioceses in the Middle East, Christians maintain a peacemaking and stabilizingpresence in the region, serving their neighbors regardless of faith background. [March 18, 2014] Applications are now accepted for one-year and two-year Justice and Advocacy Fellowships for social justice and advocacy work for The Episcopal Church. The Justice and Advocacy Fellowships for Domestic Poverty and Environmental Stewardship, new initiatives of The Episcopal Church, will provide financial support for service, professional development and education to those who are engaged in poverty alleviation and environmental stewardship. Hands-on experience, professional training and leadership development are intrinsic in the Fellowships. Focusing on the Anglican Marks of Mission Mark 4 and Mark 5, the 2014 Justice and Advocacy Fellowships are sponsored by the Episcopal Church Office of Justice and Advocacy Ministries. The Domestic Poverty Fellowships are one-year each and call for addressing domestic poverty in communities. The Environmental Stewardship Fellowship are two-years each and will provide leadership on key environmental issues in affected domestic communities. Fellowships range from $24,000 over one year to $48,000 over two years. Deadline for applications is May 9. For more information contact Stevenson at Mstevenson@episcopalchurch.org or Jayce Hafner, Episcopal Church Domestic Policy Analyst, at jhafner@episcopalchurch.org. Dying and Living into Resurrection…Now. As we celebrate Easter, we can find ourselves wondering – “What are we doing?” Are we celebrating a past or historical event – the resurrection of Jesus? Or are we praying into a future hope for ourselves? Either way, is there anything the resurrection can say to us right now? 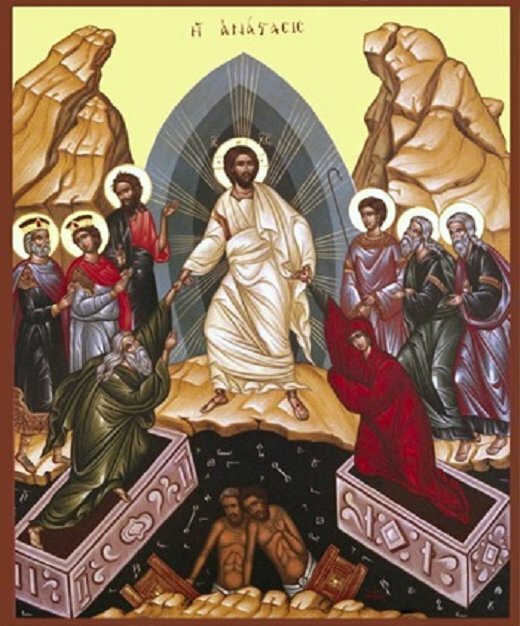 Is resurrection a “present moment” event? This year the Diocesan Women’s Retreat will focus around these questions. We will gather in the beautiful surroundings of ECCO, and through scripture, addresses, music, silence and meditation seek to encounter resurrection not as a past event or a future promise, but a present reality. Once again this year, the Rev’d Luis Rodriguez will be our retreat leader. Fr Luis is the rector of the Episcopal Church of the Saviour in Hanford and has a background in theology,counseling and spiritual direction. Time sensitive material can be emailed to emeyer@diosanjoaquin.org. 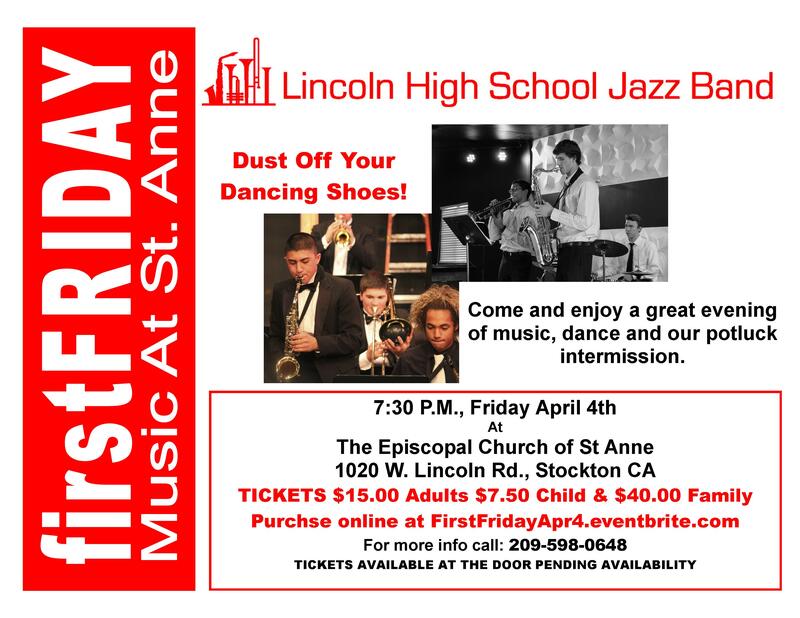 Want to know what is happening in the Diocese of San Joaquin? Registration starting at 9:30 a.m.
Click on the link below to see upcoming events and meetings around the diocese. In keeping with the Church’s ancient Lenten tradition, the Episcopal Church of the Saviour in Hanford (519 N. Douty St.) will be hosting its annual Fish Fry on Friday, 4 April 2014, from 5:00pm-7:30pm. Come along for a wonderful fish supper and fellowship, or take your meal “to go”. Tickets are $15.00 and can be purchased at the church office or at the door the night of the event. Please contact the Church of the Saviour with any questions at ecosoffice@gmail.com. We look forward to seeing you there. Christ The King will host their annual Spring Tea on Saturday, May 3 beginning at 11:00 am. Reservations and tickets are available by calling the church office or from a church member. Click here for for flyer for details and to post in your church. Click here for flyer to post. Contributions to the Friday Reflection are most welcome and are due by the Tuesdaybefore the Friday Reflection is scheduled to go out. Articles are to be submitted in word document format and pictures in jpeg format for best results. I have often heard it suggested that Leslie Newbigin remains one of the most significant influences in the theology of mission (missiology). This suggestion, I hasten to add, appears to be easily substantiated by the fact that many “missiological thinkers” like Tickle, Roxburgh, Law and the like, refer to and credit Newbigin for giving language and action to missiology. In this Reflection, I wish to give thanks for the life and work of Leslie Newbigin. And in doing so, I would commend to you his tome The Gospel in a Pluralistic Society which is a marvelous read. In addition, The Open Secret and Foolishness to the Greeks are equally readable moreover memorable. I will leave this recommendation to read Newbigin with you and I will await with interest your impressions and responses. During the recent Clergy Retreat at St. Anthony’s in Three Rivers, I suggested to our clergy that they read the book, Missional, Joining God in the Neighborhood by Alan J. Roxburgh. I want to seize the opportunity in this space to make the same recommendation to you. I have already alluded to the fact that for Roxburgh and others, Newbigin sets a foundation for missiological thought and practice. This is certainly evident in the manner in which Roxburgh begins Missional. Roxburgh writes:”As a missiologist, Newbigin’s consistent focus in his writing over thirty years involved a continual wrestling with the question of how the gospel engages the culture of the modern west. He was in a constant dialogue with the culture, in which he lived, and the gospel, which he loved. It was a back-and-forth dialogue, not one-way. Reading these books is to know one is listening in on someone who has spent time immersed in, listening to, and loving this culture in which he is embedded. (Newbigin lived in India for thirty years). It’s striking how Newbigin doesn’t use this culture to get somewhere else – he indwells it and through that indwelling reads again the biblical narratives to ask how the gospel could reengage his culture in his time.” Missional, pg 42. And so, Episcopalians in and of San Joaquin, I hope to introduce you to Leslie Newbigin if you have not already met. I encourage to read Alan Roxburgh, Phylis Tickle and Eric Law and anyone else influenced by Leslie Newbigin. And most importantly, I hope and pray that we, too, “will be in constant dialogue with the culture, in which we live, and the gospel, which we love.” And that we will ever-increasingly join God in our own neighborhoods, walking with Jesus, and guided by the Holy Spirit. In an attempt to keep California Green, and help people offset the nearly $4.00 a gallon gas price, a few remaining seats on the Convention Coach to Bakersfield will remain at the $50 rate.Remember the coach departs Modesto’s Vintage Faire Mall Park and Ride on the 29th at 5:30 AM returning to Modesto that evening. On your luxury coach there will be a continental breakfast in the morning, with libations and snacks for the return trip. in the upcoming Friday Reflections. Contributions to the Friday Reflection are most welcome and are due by the Tuesday before the Friday Reflection is scheduled to go out. Articles are to be submitted in word document format and pictures in jpeg format for best results. There are so many stories in the news this past week that are continuing sagas. The Malaysian airliner just disappearing off the radar. What is happening on the Google barge? But the one that caught my attention was echoed by an op-ed piece in the paper Friday morning – “Template for how not to raise a child” by Ruben Navarrette. He referred to the story of Rachel Canning suing her parents for support – as she deems it – not necessarily as we would define it. I thought about how she is looking for her parents to give so she can receive; how Rachel is not taking responsibility for or paying the price for her own needs and desires. Made me think about parents and children. My dad taught me unconditional love, but that didn’t mean he didn’t let us fail. It meant that he was there to help us when we asked, to affirm that trying our best was all he needed to be proud of us, and to let us know that he always loved us even when we messed up and had to face the consequences. I’ve tried to be that kind of parent to my daughters. If we take a look at the God of the Old Testament, we get a God who would be obeyed or else. God’s covenant with the people in the Old Testament was that they would faithfully obey God’s commands and God would deliver the blessing of a land of their own and innumerable offspring. God would give to the people what they needed to prosper. It’s no wonder that people today can’t identify with a God to be feared. If you had a parent like that, you don’t want to have anything to do with God or church. As Christians we put our faith in the loving God. The one who’s covenant was to give his son to redeem creation once and for all. A God who waits patiently for us to turn back when we wander off and forget to stay in touch. Nicodemus didn’t quite know about that God. He was familiar with the concrete God of acts and consequence. He couldn’t understand a God that could love him so completely that God would send the only son to save us and not condemn the world. I used these lessons yesterday morning for the baptism of an infant, Malia Villanueva. I talked to those gathered about the concept of being born again. Yes, we are born through the Holy Spirit at our baptism, but it struck me that we are born again every time we make a major life change. It’s a new life when we get our driver’s license and savor independence, which comes with increased responsibility. It’s a new life when we first leave home and have to support ourselves. It’s a new life when we get married or find our life partner. It’s a new life when we become a parent. It’s a new life when we become a grandparent. We are the same person and we are not the same. Growth should happen at each of these stages. We learn to be responsible for ourselves, for our relationships, for someone who depends on us. More maturity is required to successfully fulfill each of these roles. Knowing that we are loved unconditionally by God, assures us that we can learn from our mistakes without fear of never getting another chance. That’s how much God loves us. So what does God ask of us? Simply, to do the work that helps to heal our hurting world. As a community which stage are we in – teen, just starting to support ourselves, ready to take care of each other, ready to expand the family? I think we’re getting close. We need individuals volunteering to participate in at least one ministry and we need to be involved in activities that are taking place (like the First Friday concerts) to build our own sense of community. Are we ready to go out and do that work? Almost. It will happen because the Holy Spirit is active within this congregation. We have been born again, through our baptism in the spirit, and anointed as Christ’s own forever. We know that God promises good things to those who believe, who have faith. God was willing to give his son for the healing of the creation, so we who believe can receive eternal life. And the son willing gave his life so that we might receive that promise. What are we willing to do? Can we continue to grow in this faith together until we are able to go out into the community and do God’s work? This week take time and consider these questions. We don’t have to make any decisions right away. We just have to try to be a little better each day. AMEN. Often as Lent approaches we begin to wonder about what we might give up for Lent. The idea of giving up something during Lent: meat, T.V., candy, watermelon (my father always gave up watermelon for Lent) beer, etc. is quite common as we talk about the discipline we might take on during this penitential season of the church year. We participate in additional religious study programs as well as additional worship services. This Lent, I would like to recommend a book to you entitled, Celebration of Discipline: The Path to Spiritual Growth. The author, Richard Foster, is a Quaker pastor and he re-examines in a new way some of our older and traditional patterns of Christian spiritual discipline. In his book Foster talks about three movements of the Spirit and how each of these movements can contribute to a balanced spiritual life. Foster speaks of the inward disciplines: meditation, prayer, fasting and study as avenues of personal examination and change. Foster then speaks of the outward disciplines of simplicity, solitude, submission and service as means for us to contribute and enable the world to be a better place for all of God’s creatures. Finally, Foster talks about the corporate disciplines of confession, worship, guidance, and celebration as means that bring us closer to one another and with one another to God. This is the only book I have ever found which actually has practical and useful day-to-day advice about how to go about the ancient discipline of fasting. I highly recommend it to all of you as good reading for a spiritual, prayerful, and holy Lenten season. TAKE THE BUS TO CONVENTION! This Saturday’s Northern Deanery Meeting will be the last opportunity to insure the discounted $50 around trip rate to the March 29th Special Diocesan Convention in Bakersfield. Remaining reservations after this Saturday will increase to $65. Remember the coach departs Modesto’s Vintage Faire Mall Park and Ride on the 29th at 5:30 AMreturning to Modesto that evening. On your luxury coach there will be a continental breakfast in the morning, with libations and snacks for the return trip. Reservation agents will be on hand at the Deanery meeting to help with your payment and answer questions, or they can be contacted at ctkriverbank@sbcglobal.net. See you on the bus! The upcoming event marks the twelfth EYE, which remains a popular and well-attended event. EYE14 is geared for youth in grades 9-12 during the 2013-2014 academic year and their adult leaders. The cost for EYE is $325. Included are transportation to/from the Philadelphia airport, your room, meals, event T-shirt, and activities. Transportation to Philadelphia is extra. 3 Days of Urban Mission is offered for all EYE14 participants. It is an event designed to give delegates an opportunity to engage mission in an urban environment. The participation criteria for EYE14 continue to apply throughout 3 Days of Urban Mission. Participants should expect to engage in hands-on labor, which might include everything from painting and hauling debris to childcare and preparing meals. Participants should bring work clothes, work gloves, and closed-toe shoes. 3 Days of Urban Mission will commence with preparatory training and evening prayer at 8 p.m. on Sunday evening, July 13, and will end of Tuesday, July 15, with an evening worship service. IONA: A CELTIC PILGRIMAGE OF RENEWAL, July 12-19, is a weeklong retreat for clergy and lay leaders who are renewing our congregations and restoring our world, held at Bishop’s House on the sacred Hebridean island of Iona in Scotland. Application deadline: March 31. More details click on “Iona Retreat”. The following is the Presiding Bishop’s Lent Message 2014. It was a season during which Christians and future Christians learned about the disciplines of the faith – prayer and study and fasting and giving alms, sharing what they have. I would invite you this Lent to think about your Lenten practice as an exercise in solidarity with all that is – with other human beings and with all of creation. That is most fundamentally what Jesus is about. He is about healing and restoring that broken world. If you are interested in singing with them, please contact Fr. Vern at vwhill44@hotmail.com for an email advance copy of the music. This Saturday’s Northern Deanery Meeting will be the last opportunity to insure the discounted $50 around trip rate to the March 29th Special Diocesan Convention in Bakersfield. Remaining reservations after this Saturday will increase to $65. Remember the coach departs Modesto’s Vintage Faire Mall Park and Ride on the 29th at 5:30 AM returning to Modesto that evening. On your luxury coach there will be a continental breakfast in the morning, with libations and snacks for the return trip. Reservation agents will be on hand at the Deanery meeting to help with your payment and answer questions, or they can be contacted at (209)-869-1075. See you on the bus! The Rev. Keith Brown has been appointed as Interim Priest at St. John’s, Tulare. The Southern Deanery recently elected new officers. Their new President is Marilyn Metzgar of St. Paul’s, Bakersfield. The Rev. Heather Muellerof St. Andrew’s, Taft has been elected the new Vice-President. Richard Hendricks of St. Michael’s, Ridgecrest is the new Secretary. Thanks to all who completed a term and thanks to the newly elected for being willing to serve. Please get your forms in this week! All forms sent to you in January via the post office were due to the Diocesan Office by February 27th. The forms are also on our website: www.diosanjoaquin.org. for having all forms completed and turned in!! will be hosting YOU at our Ladies’ Tea to be held on Saturday May 3rd. Put this important date on your calendars!! There will be food, music, raffles, prizes for best tables, and even a fashion show. Tickets will be available soon!! Watch this space for more info. St Anne Hosted the Northern Deanery Meeting and Bishop David Rice and his wife Tracy were in attendance. He shared his passion and vision for the future of the San Joaquin Diocese and took questions from those in attendance. He is both inspired and inspiring with his plans to see our congregations reaching out into the community. He received an enthusiastic welcome and we shared a delicious lunch.